Although it is still technically winter, Spring is upon us. As many of you know we can golf in Longmont almost all year round. As we start to dust off our clubs and get ready for the upcoming golf season, old and new golf injuries can start to appear. Stretching and keeping flexibility are important not only to prevent injury, but will also help to improve your swing and distance on the ball. Did you know that if the muscles on the side of your thighs are too tight, this can cause you to rotate too quickly into your shot. Which can lead you to come over the top of the ball? A simple evaluation and stretching program will help to improve your flexibility and improve your game. If you do injure yourself while golfing, it is important to make sure that these injuries heal correctly and as close to 100% as possible. 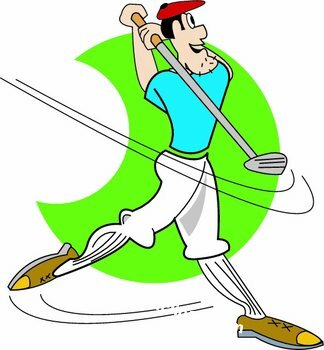 The most common type of injuries in golf are sprain/strain type soft tissue injuries. In layman terms these are injuries to the muscles, ligaments and/or tendons. The important thing to remember with these soft tissue injuries is to get them to heal correctly and fast. When the soft tissue starts to heal, it will often heal with a scar. This scar tissue lacks the normal elasticity and mobility of uninjured soft tissue. To the golfer, this can cause an increased sensitivity to pain and a greater loss of range of motion. This can impact your golf game and impact your swing. If left untreated it can turn chronic causing more pain and greater loss of your range of motion. Chiropractic care in conjunction with cold laser therapy, will not only speed up the healing process, but will also decrease the pain, and allow the area to heal as close to 100% as possible. Before heading out to the golf course, let us here at Cavallo Chiropractic evaluate your spine and posture. We can then come up with a treatment plan to improve your mobility and flexibility allowing you to enjoy play golf all year round.